Yelp! is a novel service that helps you get recommendations from your friends and the community even on such mundane things like where to get a good bite! 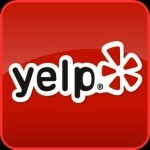 Instead of just asking a friend yourself for his recommendation one-to-one, you try to use Yelp! and you get the benefit of the experience of all its members. Sort of network of recommendations that cascade. In India, there are several web sites viz: AskLaila.com, Justdial.com etc that provide you the co-ordinates and minimal data about the companies, business and services available. In Chennai (India), there a free information service run by a private organisation which gives you the address and telephone number of any shop or a service provider within Chennai city – be it a physician, eatery or transport. Anything. All you have to do is dial 2222 2222. Easiest number to remember.